The prohibition movement in the United States began in the early 1800s and by 1850 several states had passed laws that restricted or prevented people drinking alcohol. Early campaigners for prohibition included William Lloyd Garrison, Frances E. Willard, Anna Howard Shaw, Carry Nation and Ida Wise Smith. 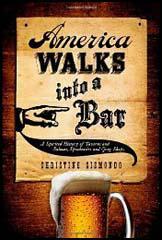 Two powerful pressure groups, the Anti-Saloon League and the Women's Christian Temperance Union were also established in America. In 1869 members of the temperance movement formed the Prohibition Party. Three years later James Black of Pennsylvania became the party's candidate for the presidency. He won 5,608 votes. Other candidates included Green Clay Smith (1876 - 9,522 votes), Neal Dow (1880 - 10,305), John St. John (1884 - 150,369), Clinton Bowen Fisk (1888 - 249,506), John Bidwell (1892 - 264,133), Joshua Levering (1896 - 132,007), John Granville Woolley (1900 - 208,914), Silas Comfort Swallow (1904 -258,536), Eugene Wilder Chafin (1908 - 253,840 and 1912 - 206,275) and James Franklin Hanly (1916 - 220,506). During the First World War most people considered it to be unpatriotic to use much needed grain to produce alcohol. Also, several of the large brewers and distillers were of German origin. Many business leaders believed their workers would be more productive if alcohol could be withheld with them. John D. Rockefeller, alone, donated over $350,000 into the Anti-Saloon League. 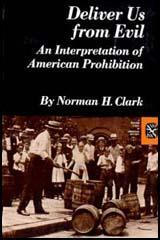 Opinion on prohibition began to change and by January, 1919, 75% of the states in America had approved the 18th Amendment which prohibited the "sale or transportation of intoxicating liquors". This became the law of the land when the Volstead Act was passed in 1920.